Hello Wednesday. How is your week going? So much has happened already this week, and there is much more to come before the family and I can take a breather over Memorial Day weekend. There was class on Monday night. Be sure to check out Ashley’s finished quilt. It’s her first finish, and her joy is contagious. 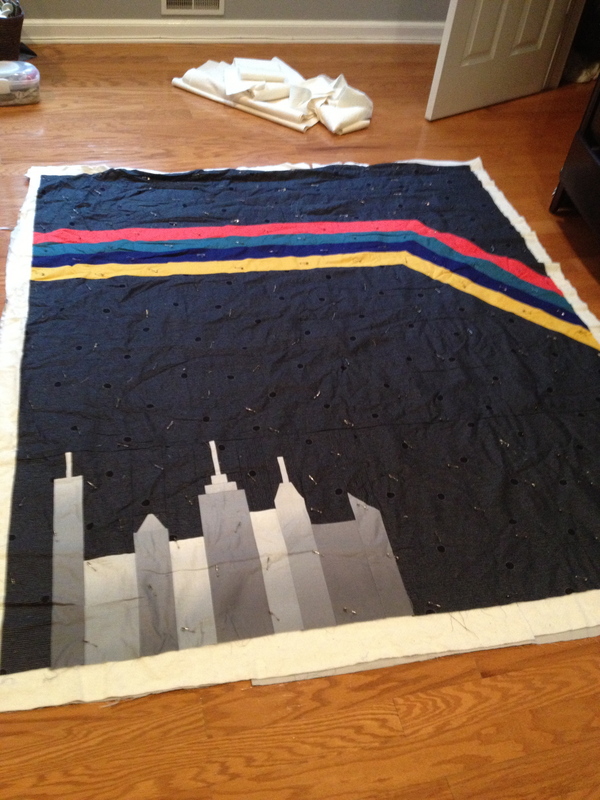 Yesterday I basted the new skyline quilt. Tuesday is my sitter day, so I took a little “me” time to have a sewing date with my friend Cortney, who had a day off from work. 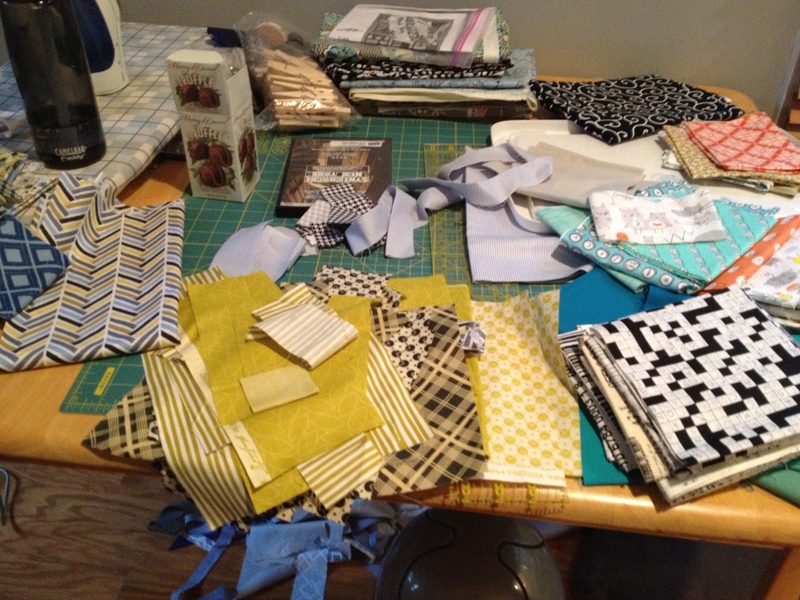 I did some binding for my free motion class samples (more on them tomorrow) and she gave me some fantastic inspiration for quilting the skyline quilt. 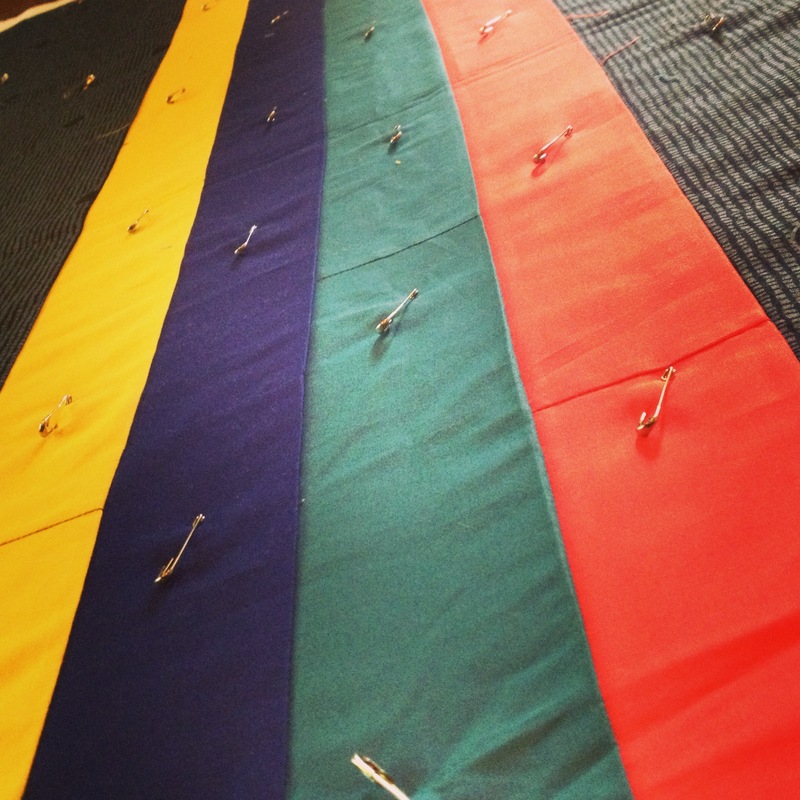 I love brainstorming with other quilters, because they just get it. They have that same combination of ambition, creativity, practicality and the special giddiness that comes when you realize that you really can pull off an idea. Today I am playing with fabric to figure out a design for another new baby. This is what my workspace looks like.